Ravens appear in mythology and folklore the world over. 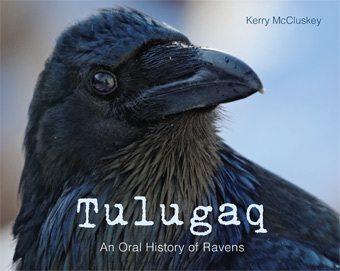 The result of ten years of research and interviews, Tulugaq examines the raven’s place in Canadian Arctic society and reveals a bird that is at times loved, mailigned, dreaded, and even revered. With dozens of photographs and stories from communities across Nunavut, the Yukon, and the Northwest Territories, Tulugaq is a visually stunning examination of one of the animal kingdom’s most complicated figures.